Feed issues are among the most common cause of crusher problems. They account for about 70% of liner wear issues – and shorten the life of your crushing chamber. Bad feed arrangements also lead to big losses, with higher OPEX and cost per ton due to a reduction in the amount of final product you can produce. 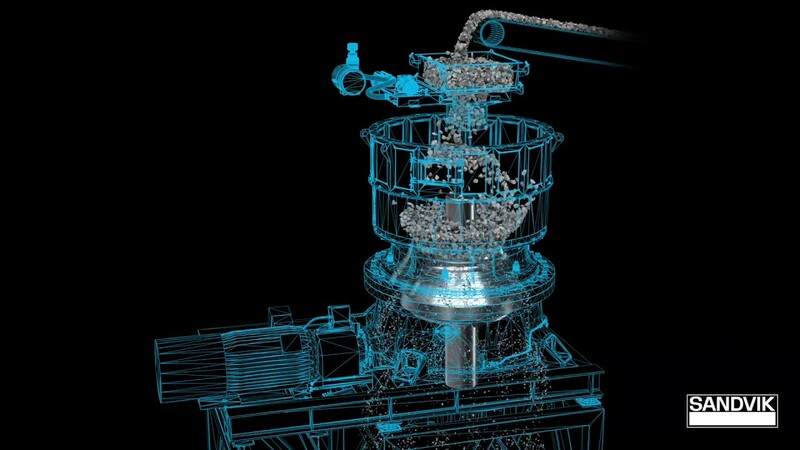 But the fix is simple – a Sandvik Rotating Feed Distributor. Our Rotating Feed Distributor is placed above the feed hopper and evenly spreads your incoming feed material - correcting for misaligned feeds or feed segregation. This upgrade helps to enhance your crusher’s performance and keeps your system running smoothly, avoiding excessive pressure and power draws. Crusher compatibility – RFD model 90/320: SANDVIK CH420*, CH430*, CH440*, CH540, and CH550. Crusher compatibility – RFD model 130/630: SANDVIK CH660*, CH860i*, CH865i*, CH870i*, CH890i* and CH895i*. * Test results are to be considered as results reached under certain and controlled test conditions. These test results should not be treated as specifications and Sandvik does not guarantee, warrant or represent the outcome of test results in any or all circumstances.